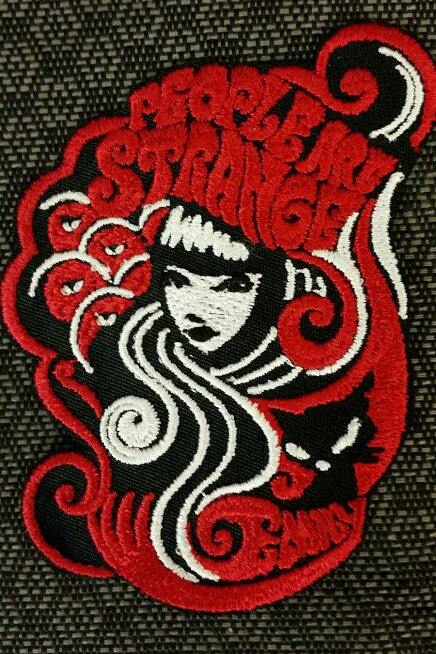 This Emily the strange patch is embroidered on black poly twill fabric with red, white and black thread. 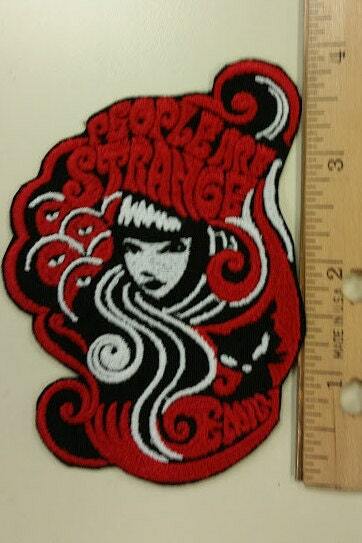 The lettering above Emily's head says People are Strange and in the corner of the patch under the cat, it says Emily. 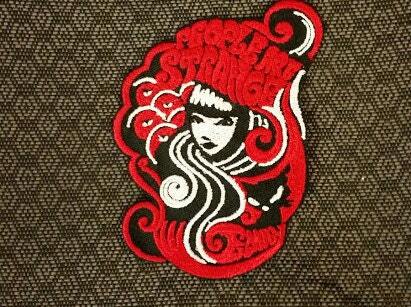 The patch has an iron on adhesive to assist with application on your apparel. It measures approximately 2.5"W X 4"H.
Shipped on time.Shipped on time. 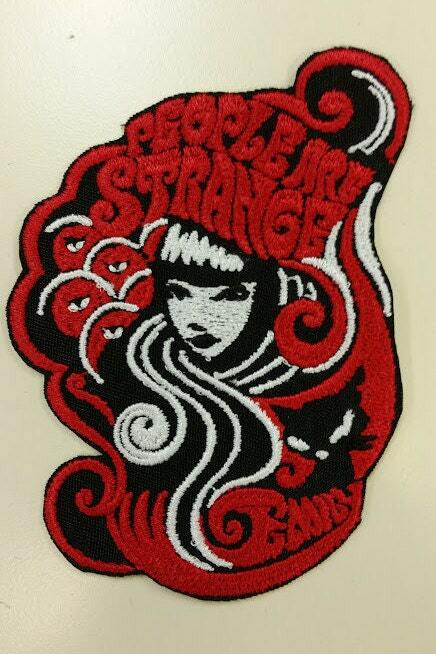 Great patch. Haven't ironed it on yet, may sew it on. Fast shipping. Thanks!